A belated qualified domestic relations order (QDRO) is not barred by the contract Statute of Limitations. It may also be used to collect arrears in the ex-spouse’s share of pension payments paid to the retiring employee before the post-retirement QDRO first goes into effect. Moreover, while the employee’s post-divorce loan against the pension will be charged only against the employee’s share, the reduction in monthly benefits attributable to the employee electing after the divorce joint and survivor benefits with the next spouse is to be shared with the first spouse. Carol and Richard Kraus were married in 1973. During a portion of the marriage, the wife was employed by the State of New York as a hospital nurse. The husband was employed by the Fire Department of the City of New York (the FDNY) as a firefighter from 1977 to 2008. As a firefighter, the husband was a member of a pension system for much of the parties’ marriage. The wife was also a member of a pension system as a State employee. In 1993, the wife commenced a divorce action. On November 1, 1995, the parties reached a settlement, pursuant to which each spouse was entitled to a marital share of the other spouse’s pension in accordance with the formula set forth in Majauskas v Majauskas (61 N.Y.2d 481). The stipulation expressly provided that “[a] Qualified Domestic Relations Order shall be prepared in the course of any divorce and forwarded to the Court for signature and filed with the Husband’s employer.” A judgment of divorce was signed by the Supreme Court on February 21, 1996. It’s always nice to see a court cut through the red tape and do the right thing. It doesn’t always work out that way. Here it did. In its April 29, 2015 decision in Dickson v. Dickson, the Appellate Division, Second Department, reversed Westchester County Supreme Court Justice John P. Colangelo to solve a practical problem resulting from a mistaken assumption in a couple’s divorce settlement agreement. That agreement provided that the wife would receive one half of the husband’s Time Warner Deferred Compensation Plan benefits. The transfer of the wife’s interest was expressly to be effectuated pursuant to a Qualified Domestic Relations Order (hereinafter QDRO) or a Domestic Relations Order (hereinafter DRO). What is a Domestic Relations Order? 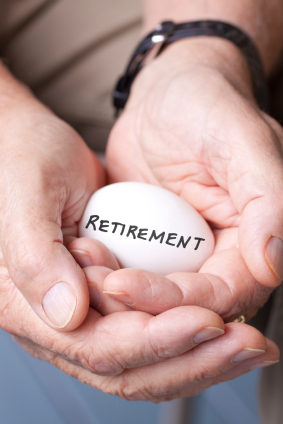 It is common for employers to provide retirement or deferred compensation benefits to their employees. With appropriate plans, there are no income taxes paid by the employee now at time of the employer’s current contributions. Indeed, the employee may also contribute to such plans using “pre-tax” dollars. Income taxes will not be paid on the employer’s or employee’s contributions, or the growth thereon, until the employee withdraws funds from the plan, usually upon retirement. Incident to a divorce, a share of such plan benefits is often to be paid over, now, to the employee’s spouse. Were that to be accomplished by the employee withdrawing the spouse’s share and paying over the funds withdrawn to the spouse, such could constitute a current invasion of the plan, a withdrawal from the fund subjecting the employee, now, to income taxes, if not early withdrawal penalties, as well. A Domestic Relations Order is a court decree recognized by the Internal Revenue Service that allows the division of retirement plan benefits incident to a divorce, without triggering current income taxation or early withdrawal penalties. Rather, the employee’s spouse will be subjected to income taxes only when the spouse accesses that share when, as and if withdrawals are made (or if the share is not properly rolled over into an appropriate tax-deferred account of the spouse). That is precisely what the Dicksons contemplated here. The wife was to receive half of the husband’s Time Warner Deferred Compensation Plan. A Domestic Relations Order was to be used to prevent the transfer to the wife being a taxable event. Rather, the wife would pay income taxes on the amounts she received when, as and if she did so. However, in this instance the Time Warner Deferred Compensation Plan was not the type of benefit plan that could be made the subject of a Domestic Relations Order. Instead, for the husband to pay over to the wife her 50% share, such would be treated as a current invasion. The husband would, now, be subjected to income taxes on the amount withdrawn and paid over to the wife. An ex-wife’s failure to obtain a Domestic Relations Order during her ex-husband’s lifetime did not bar relief after his death. The divorce settlement agreement provision that granted her the right to receive the ex-husband’s retirement plan death benefits could be enforced after his death more than seven years after the divorce judgment was entered. Suchwas the holding of New York County Supreme Court Justice Debra A. James, in the August, 2013 decision in Paschall v. New York City Employees Retirement System. After 20 years of marriage, Diana and Randy Paschall were divorced. Their 2004 divorce judgment incorporated the terms of their surviving 2003 Settlement Agreement. By the time of his death in 2011, Mr. Paschall had married again to Jewel Paschall. Jewel was issued letters of administration for Randy’s estate. She also exercised her personal right of election to take her elective share of her late husband’s estate pursuant to New York Estates, Powers & Trust Law 5-1.1-A. During his marriage to Diana, Mr. Paschall accrued benefits under the New York City Employees’ Retirement System (NYCERS). Diana and Randy’s divorce Settlement Agreement provided that in the event of Randy’s death before Diana, Diana would be entitled to Randy’s survivor annuity. The Agreement required Randy to designate Diana as his death benefit beneficiary. Randy never designated Diana as his death benefit beneficiary. No Domestic Relations Order was ever entered by which Diana’s entitlement was ordered, nor was NYCERS otherwise notified of Diana’s entitlement before Randy’s death. Indeed, in 2009, Randy had designated his children as beneficiaries of his death benefit. Here, Diana had sued Jewell and NYCERS, itself, seeking to enforce the Settlement Agreement insofar as it gave her rights to receive Randy’s retirement system death benefit. In his February 26, 2013 decision in J.K.C. v T.W.C., Monroe County Supreme Court Justice Richard A. Dollinger held that an attorney could not have a charging lien under Section 475 of the Judiciary Law against the IRA received by his former client (the wife) as her marital share of the husband’s IRA. IRAs, generally, are exempt from creditor’s claims pursuant to CPLR §5205(c)(2). There was no allegation that the client, in the divorce judgment, engaged in any collusive or other improper behavior to thwart the attorney’s recovery of his fees. The lack of any provisions relating to a charging lien for attorneys fees under New York’s Domestic Relations Law. Almost all ERISA-Qualified Defined Benefit Plans (commonly known as “pensions”) are required to offer annuities (a stream of monthly payments). Where there is no divorce, the annuity must be paid as a Qualified Joint and Survivor Annuity unless the Participant’s spouse consents in writing at the time of retirement to a different form of payment. Moreover, any plan that offers an annuity option must also provide a Qualified Pre-retirement Survivor Annuity that will pay the surviving spouse of a Participant an annuity for the spouse’s life if the Participant dies before actually retiring. If a Participant and his spouse divorce, then the Participant’s (former) spouse may be designated as an Alternate Payee in a Qualified Domestic Relations Order (QDRO). This will enable the divorced spouse to be treated as the Participant’s “surviving spouse.” If such a QDRO is entered, the divorced spouse may insist that the Participant choose a Qualified Joint and Survivor Annuity with the divorced spouse and also insist that the divorced spouse be designated as the surviving spouse and beneficiary of a Qualified Pre-retirement Survivor Annuity. By definition, joint and survivor payments potentially will continue longer than a payment continuing only for the life of the Participant. As a result, the monthly payments under a Qualified Joint and Survivor Annuity will always be less than the payments under a Single Life Annuity. The longer the projected duration, the lower the monthly payment level. Because a Single Life Annuity by definition may have a shorter duration than Qualified Joint and Survivor Annuity, it will have a higher monthly payment for the same accrued benefit. The payment level for a joint annuity will depend on the ages of the two persons whose lives are being used to measure its duration. Generally, where a Participant’s annuity is not yet in pay status, there are four ways in which that annuity may be divided between him and an Alternate Payee who is his spouse or former spouse. A. Shared Single Life Annuity on Life of Participant: Payments will begin when the Participant chooses to retire and will end on the Participant’s death. A divorce court can divide this payment stream for the life of the Participant between the Participant and the divorced spouse. a 50% joint and survivor option, where after the first death, half of the full monthly benefit is paid to the survivor for the life of the survivor (until the first death, the monthly benefit is split between the Participant and the divorced spouse). C. Shared Qualified Joint and Survivor Annuity on the Lives of Participant and the Participant’s New Spouse: If the Participant has remarried, the Participant may choose or be forced to choose (if his current spouse will not sign a waiver) a Qualified Joint and Survivor Annuity with the Participant’s new spouse. Payments under such an annuity may still be divided between the Participant and the divorced spouse, and such payments would continue until either the death the death of the last to die of the Participant or the Participant’s new spouse. D. Separate Interest Approach: Single Life Annuity on Life of Alternate Payee: This is the choice most divorced spouses prefer. It gives the Alternate Payee complete control over the timing of the commencement of the annuity payments, and the payments will not terminate until the divorced spouse’s death. The Second Department in McVeigh held that a 50% Shared Qualified Joint and Survivor Annuity on the Lives of the Participant and Alternate Payee (the divorced spouse) was to be chosen, unless the Participant (here the husband) elected to insure his wife’s continuing benefit in the event the husband predeceased the wife. The appellate court was careful to point out that any Qualified Domestic Relations Order must specify that the wife is to receive no more than her 50% share of the marital portion of the husband’s pension. That marital portion is the wife’s awarded equitable share (here 50%) of a fraction of the pension benefit determined by dividing the total months prior to the commencement of the divorce action that the participant was in the pension plan and the parties were married by the total number of months the participant is in the plan prior to retirement. This formula was adopted by the Court of Appeals in Majauskas v. Majauskas, 61 N.Y.2d 481, 474 N.Y.S.2d 699 (1984). The 50% Joint and Survivor Option does, as the Second Department noted in McVeigh (and as the Third Department noted in Erickson v. Erickson, 281 A.D.2d 862, 723 N.Y.S.2d 521 ), come closer to continue the spouse’s benefit in the event the participant predeceases the spouse. However, why should the Participant, alone, bear the cost of insuring out of this option. As each spouse will benefit by the increased monthly payment incident to electing the Single Life Annuity, why should not the spouse bear the Majauskas share of the cost of a life insurance policy to provide the equivalent of continuing payments to the spouse if the spouse survives the participant. Doing so gives both parties the incentive to choose the option that is right for them. Absent other agreement between the parties, a divorce court must require a pension plan participant to elect the 50% joint and survivor option (if) offered by the participant’s pension fund. Alternatively, the participant may provide life insurance for the benefit of the spouse sufficient to pay the spouse’s share of the participant’s pension in the event the participant pre-deceases the spouse. So held the Appellate Division, Second Department, in its October 24, 2012 decision in McVeigh v. Curry. In doing so, the Second Department modified the decision of Rockland County Supreme Court Justice Linda S. Jamieson to require the participant’s election of the 100% joint and survivor option (or provide suitable life insurance). By way of background, almost all ERISA-Qualified Defined Benefit Plans (commonly known as “pensions”) are required to offer annuities (a stream of monthly payments). Where there is no divorce, the annuity must be paid as a Qualified Joint and Survivor Annuity unless the Participant’s spouse consents in writing at the time of retirement to a different form of payment. Moreover, any plan that offers an annuity option must also provide a Qualified Pre-retirement Survivor Annuity that will pay the surviving spouse of a Participant an annuity for the spouse’s life if the Participant dies before actually retiring. Where there is a divorce, the Participant’s (former) spouse may be designated as an Alternate Payee in a Qualified Domestic Relations Order (QDRO). This will enable the divorced spouse to be treated as the Participant’s “surviving spouse.” If such a QDRO is entered, the divorced spouse may insist that the Participant choose a Qualified Joint and Survivor Annuity with the divorced spouse and also insist that the divorced spouse be designated as the surviving spouse and beneficiary of a Qualified Pre-retirement Survivor Annuity. By definition, as joint and survivor payments will continue potentially longer than payments continuing only for the life of the Participant. As a result, the monthly payments under a Qualified Joint and Survivor Annuity will always be less than the payments under a Single Life Annuity. The longer the projected duration, the lower the monthly payment level. After 36 years of family law practice, I pride myself on having a good idea of what I don’t know.